Have you ever pushed the limit? Sure you have, just that little bit further, just that little bit faster. It’s the secret to success. But also sometimes disaster… Perhaps nowhere is breaking that limit as obvious as on a race track. Yet how many of us, as amateurs, love to get in a car and take it for a spin around a track when we get invited by a dealership, club or friend? Sounds lovely! What a pleasant day out I think. So I invite my brother in law, and we set of for the country. We arrive at Prescott, and it’s a hive of activity. Over 100 cars there, of every vintage, with half a dozen already queueing at the starting point, shooting off every minute. I can’t wait to get going! But first the safety briefing. A nice middle age lady stands in front of a map of the climb. It’s all very pleasant and jovial. “Now at the start of the track, there are two big hairpin turns. If you end up in the kitty litter don’t try and drive out, you will only sink. Wait for us to tow you out. Then you go through the esses up the hill, and you will see a colourful painted fence at the end, before you hit a long sweeping 180 degree bend at the top of the hill. Be careful here, as there is no safety barrier, and if you go off your car will roll down the hill”. Nonetheless, as the day passes, I naturally feel I am getting pretty good at this. I’ve got the hang of the hairpin turns at the start. Zooming through the esses. 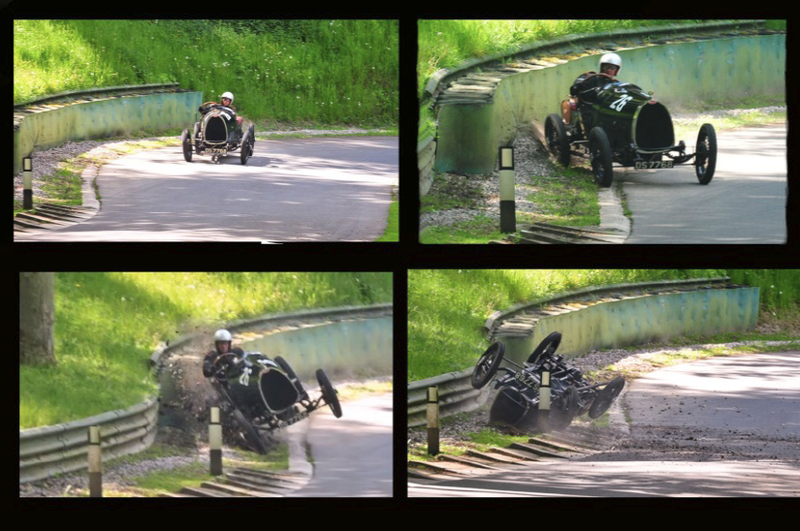 And necessarily cautious through the sweeping top bend. After half a dozen runs, I’m ready to push the limit just that little bit more. It was quick. Very quick. First the right front nose hit, then the whole side of the car slammed up against “the colourful painted fence”. The side airbag went off, and my head hit the roof. The safety marshal wanders over. “There’s always one”, he says. As we know, for 7 years they kept the cash rate at zero, and purchased treasury securities to lower interest rates out to 30 years. The mantra has been growth, growth, growth. And they have been pushing hard. But the economy is not as nimble as a car. It is more like an oil tanker. So the Fed has had the motors running at full steam for 7 years. And let’s call it ¾ throttle for the last 2 years. And the economy has responded. Not at a blistering pace, but a solid pace, averaging about 2%. Now being a tanker, the Fed has to adjust speed and direction early. There is a limit to how far they can push the economy. And that limit is inflation. But like my painted fence, the inflation risk has not been forefront in the Fed’s mind. Indeed, they have maintained speed, convinced they have plenty of time to brake. So when should they brake? Larry Summers will tell you certainly not yet. 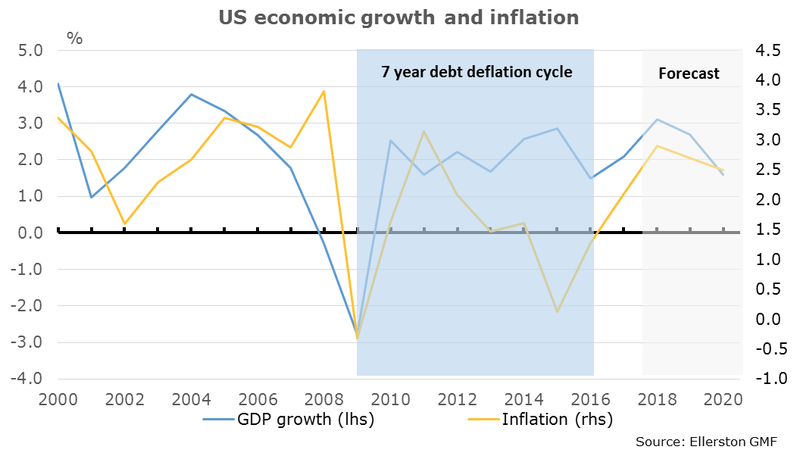 The modest growth post the financial crisis he says is due to secular stagnation (a term originally introduced in the great depression, ironically in 1938 just as the depression ended). I don’t agree. Rogoff and Reinhart’s brilliant book “This Time is Different” has been my post financial crisis bible. Their message was simple. On average it takes an economy 7 years to return to normal after a balance sheet recession. Seven years was 2015. But the world has returned to normal. Around the middle of 2016. Pretty much right on schedule for Rogoff and Reinhart. 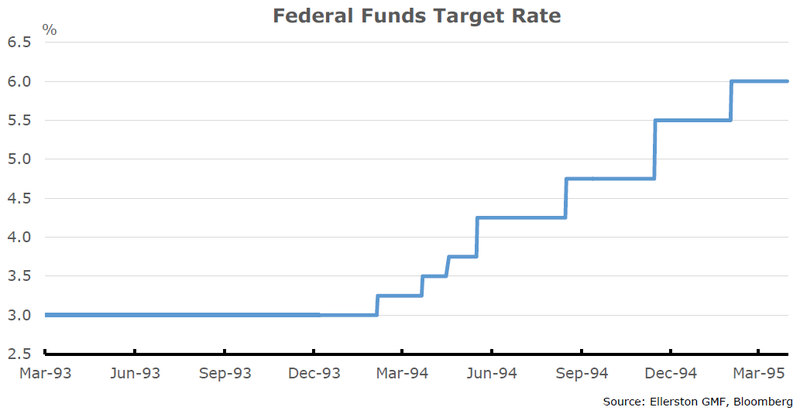 And so the Fed has achieved its goal. Time to start easing back on the throttle. And so the 3 rate hikes in 2017. Indeed, the market never believed the Fed would deliver 3 rate hikes in 2017. After all, they promised the same in 2015 and 16. 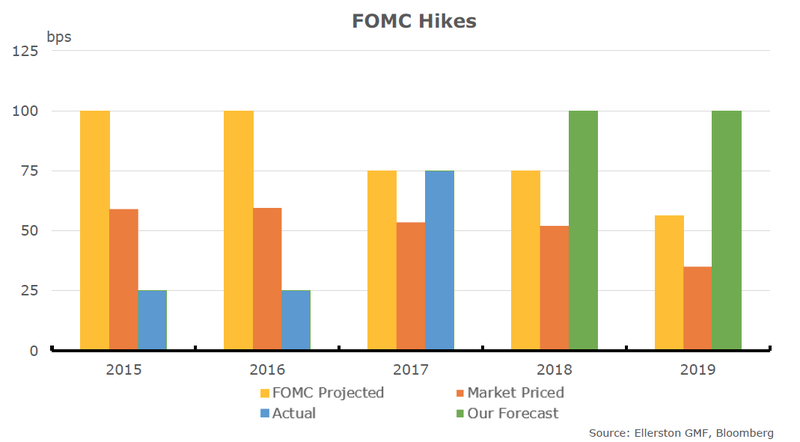 The chart below shows what the Fed projected for each year, and what the market was expecting, in the December FOMC meeting prior to year (with exception of 2019, which is forecast from Dec 2017 Fed projection). 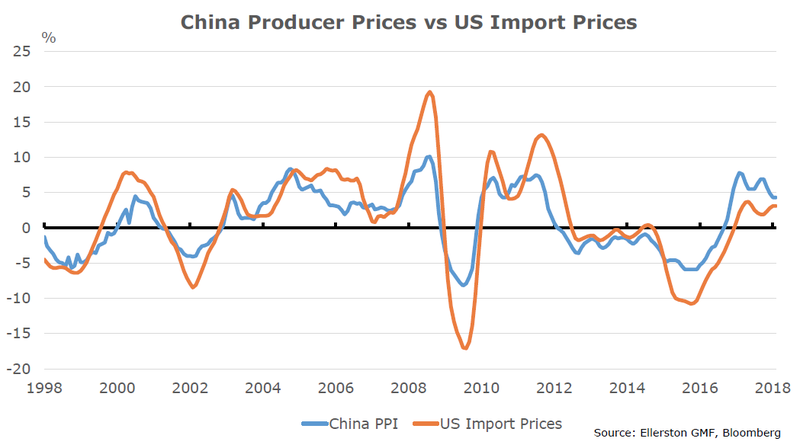 Strangely, after the Fed finally delivered on their forecast in 2017, the market was still well under-pricing the Fed projection in 2018 and 2019. So what changed in 2017 for the Fed? 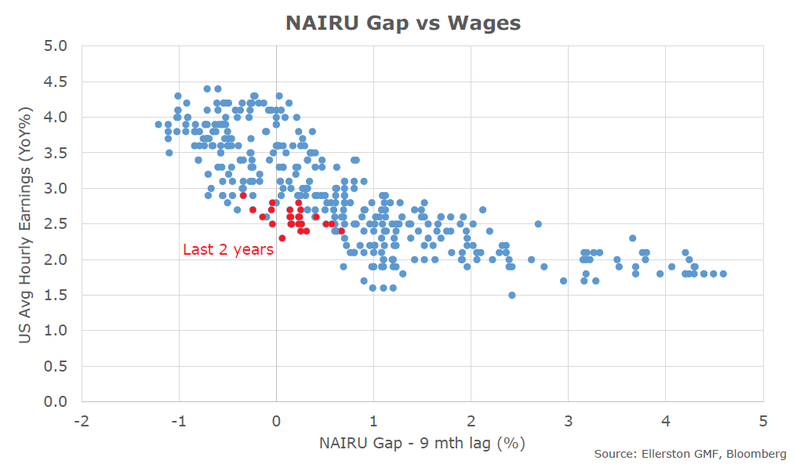 The NAIRU gap. Let’s call it the “Brake” sign on the side of a race track. Or the slow to 5 knots sign for a tanker entering a harbour. 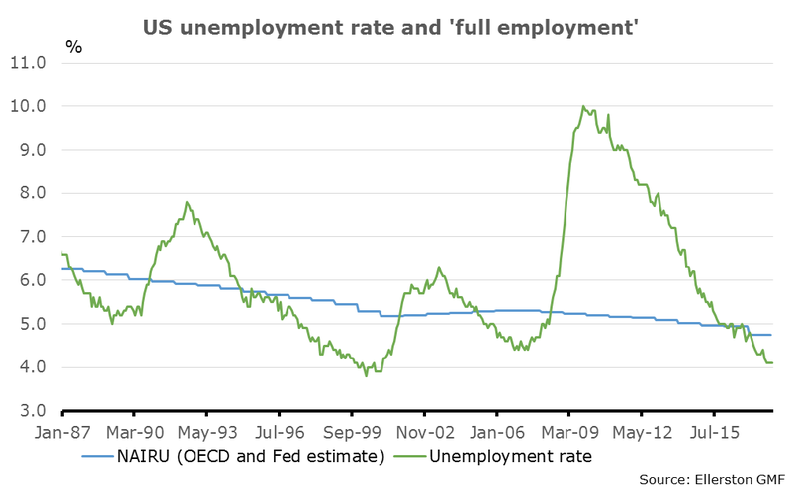 The unemployment rate moved decisively through their estimate of NAIRU in 2017. Braking a little late? Have they forgotten about the painted fence? Well at least until last year, when Yellen was determined to hike despite the market’s scepticism. Still, no need to panic right? They are braking quite hard now. And inflation is just so low, it will be fine. Surely? Well to be fair, that was my central case before Xmas. A steady pace of rate hikes would slow the economy enough to limit further significant declines in the unemployment rate, and limit wage and inflation pressures. Tax cuts delivered December 22nd. Boom, our US GDP forecast for 2018 just jumped by 0.4%. We were now looking at 2.7%. Very solid when the Fed is trying to brake. Meanwhile, the Republicans entered 2018 again grappling with debt ceiling limits and threats of government shutdowns. And while no one is paying much attention, they reach an agreement to pass a Continuing Resolution on February 4th that allows for a 390 billion increase in spending over the next year (330 billion on defence). Boom. Our GDP forecast just went up another 0.4%, to 3.1% for 2018. So what we have here is the Fed bringing the tanker into harbour, and easing back on the throttle. And then Donald, like a powerful little tugboat, has hit the rear at full throttle. The Fed trying to slow, and the government trying to speed up. This size stimulus from the government, with the economy fully employed, has simply never happened in peace time. So what happens now? Well the modestly good news is Powell is well aware. “I think our view -- my personal view -- would be that there will be a meaningful increment to demand, at least for the next couple of years, from the combination of those two things” , he said last month in front of Congress. What does that mean? Well first and foremost, we are going to see a Fed that is resolutely determined to get back to neutral as quickly and calmly as possible. As the English are fond of saying, “Keep calm and carry on”. We expect 4 hikes this year and 4 hikes next year. 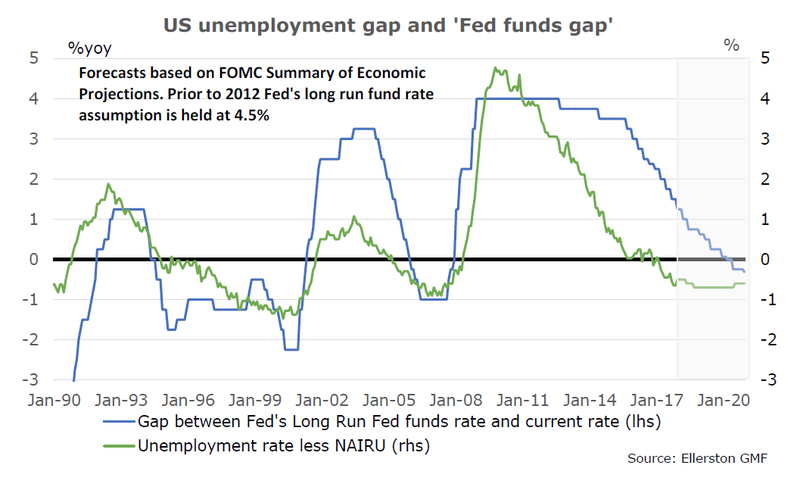 Will the Fed panic, and put the engines in full reverse? Quite possibly. What does that look like? 1994. 300 points of rate hikes in 12 months. Is that a reasonable comparison? It might be too kind. As I said, the Fed has left braking late. Much later than 1994. 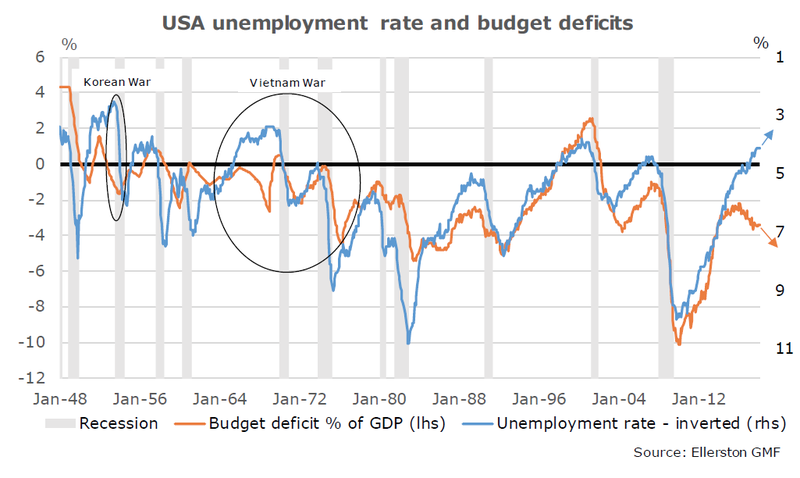 And there was no fiscal stimulus in 1994, no maverick Donald in his tugboat, to overcome. The one comparison to 1994 was that growth sharply accelerated. Greenspan responded ferociously. 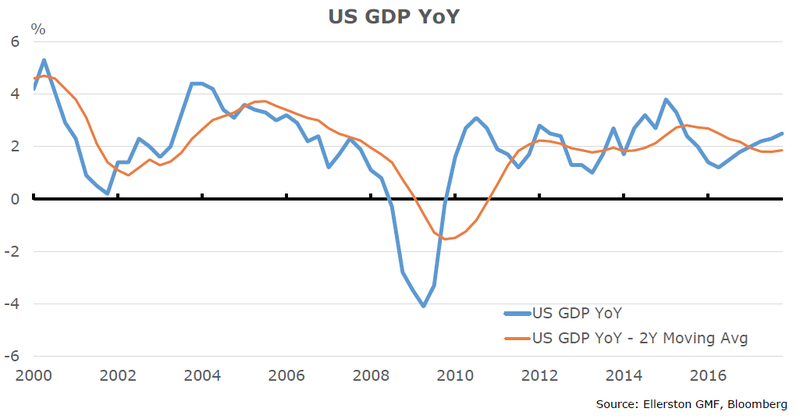 And legendarily managed a slowdown rather than a recession. Equities finished the year flat. 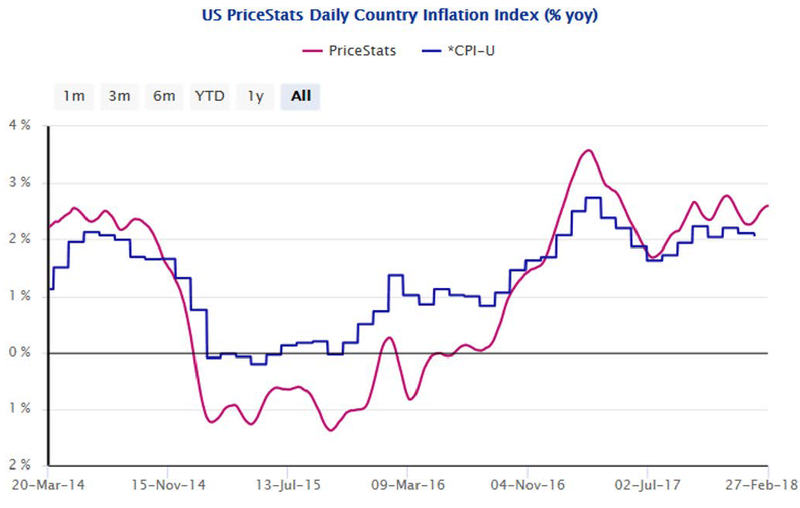 What one needs to understand is this is the first time since the Great Depression that the Fed has been actively trying to lift inflation. So it is the first time they have had monetary policy this loose when the economy is fully employed. Now many find it hard to imagine inflation ever developing. After all, we have cheap goods from Asia, and the internet ensuring people always find the cheapest price. There is simple no pricing power. And would you believe prices are rising on the internet in the US. Indeed, MIT screens 1000’s of internet prices every month. And they find something rather interesting. Consumers on the internet have no pricing memory. They are only concerned about the cheapest price today. Not yesterday. So when costs go up, prices go up on the internet. For the last 12 months, they highlight pricing power in the US (and Japan). So we have increasing input costs for goods. We have evidence of pricing power on the internet. Oh, and we have the tightest labour market we have seen in 30 years, with a big acceleration in growth to come. But don’t worry. The Phillips curve is flat, so they say. A lower unemployment rate no longer leads to higher wages. Doesn’t it? We shall soon see. We think it is not a curve, but a hockey stick. And wages, although a little low, are perfectly consistent with their behaviour of the last 30 years. We are now at the point when wages historically surge. Is that going to happen? Well, this is how I think about it. In September we forecast the US 10 year to trade to 3.5% over the next 12-18 months. This was primarily based on our work around the impact of the unwinding of quantitative easing, combined with a modest rise in wages and inflation. they know it. So the next 7 to 8 rate hikes are a lock. By the end of 2019, a “good” result would be a Fed cash rate of 3.5%, and a 10 year treasury bond of 3.75%. With that good result, equities could cope, eking out a 5-10% return each year, but with a lot more volatility than everyone is used to. You probably lose money on your bond portfolio, so not an ok return for balanced funds. That is the good outcome. 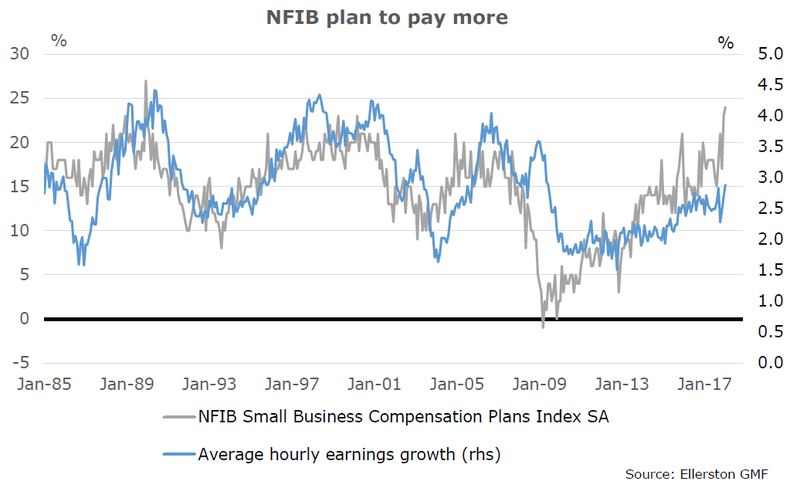 If wages accelerate quickly to 4%, the Fed has an almighty problem. Historically, they would move aggressively to slow the economy and anchor inflation expectations. Historically, this typically resulted in a recession (the exception being 1994). It is very hard to slow an economy “just enough”. Meanwhile, we have never seen a market more leveraged and invested in low inflation forever. As we have written, risk parity funds would be toast in this environment. The combination of having to deleverage due to high volatility, and redemptions, could require as much as 1.5 trillion in bond sales from this group. Into a falling bond market. And let’s not forget the ETF’s. Sure they make up a modest share of the market in many instances. And sure they have survived some volatile periods well, particularly 2015 in the high-yield market. But would they survive a bond crash? I think not. After all, they would suffer massive redemptions. And if they are only selling, they only have the liquidity of the underlying market. Which in credit will be appalling. A blood bath. So should you worry? It depends how much you want to push the limit. I’ve shown you the charts above. Equities and credit will be “ok” in the good scenario. In the bad scenario – a breakout in wages and aggressive Fed – all asset classes will be a bloodbath. Last year I gave the bad scenario a 25% chance. This week Tim Toohey and I are debating whether it is a 33% chance or a 50% chance. It is hard to be too scientific. But it is not hard to be prudent. What’s your probability? Historically surprise developments in the macro economy often result in poor returns in traditional investments. It is a time to be prudent in bonds, equities, credit, REITs and infrastructure. Anything that has benefitted from low interest rates in the world. And be aggressive in macro investing, or any investment that can benefit from rising interest rates. A Fed that has been well and truly testing the limit, now has a massive fiscal stimulus at exactly the wrong time. They will hit the brakes hard and hope for the best. I can’t recall a more exciting outlook for macro investing in my 29 years of managing money.